1. How do I tell the old Fire-King from the new Fire-King? 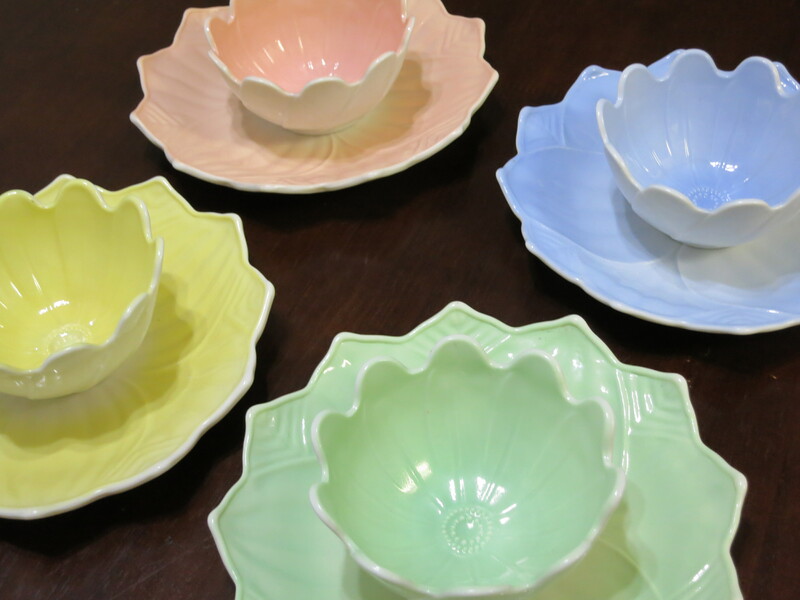 If my jadeite is marked Fire-King, but not Anchor Hocking –is this still dated 40’s? Most Fire-King pieces were marked, but some were not marked. Marks were changed over time. During these transitions more than one mark would be used. Some pieces are marked only with an anchor and / or the words “HEAT PROOF” or “OVEN PROOF” . The style of anchor logo may help establish the manufacture period. 2. My Fire-King pieces aren’t marked. Are they fake? No*. Any long-running highly produced pattern pattern will go through a number of different moulds. Moulds acquire cumulative layers of glass with each use until they are finally rendered useless and new moulds have to be made. At that time, any new management decisions about how the new pieces ought to be marked will be implemented. Not all moulds with a particular mark will wear out at the same time, so for brief periods, two or more kinds will be used at once. One solution to this confusion was to stop mould marks altogether and switch to foil labels — which were eventually removed by consumers. So we now find “unmarked Fire-King” that is no less valuable or collectible than pieces with any of several imprinted marks. *The only exception is a very poor-quality creamer and sugar set made to resemble the ribbed Jane Ray pattern. The fakes are very thick, with a rough, grainy texture and do not include a sugar lid. 3. Is Anchorglass the same as Anchor Hocking Fire-King and what does “Heat Proof” mean? “Anchorglass is a trademark used by Anchor-Hocking. It means, literally, “made by Anchor-Hocking.” Nothing more. “Fire-King”, also an Anchor-Hocking trademark, refers to items made with low-expansion borosilicate glass. Fire-King call this glass heat proof. All heat proof Anchor-Hocking glassware is Fire-King — marked or not*. Heat proof glass is intended for use in the oven. NOT on top of the stove. *Some Fire-King is marked only as “Heat Proof”. Some is not marked at all. (Most “unmarked” Fire-King had only foil labels, which were easily removed). Some items are marked only with foil labels that say “Heat Proof Anchorglass.” They are Fire-King. 4. Is it safe to put Fire-King in the dishwasher – or even a microwave? We have been using Fire-King in our microwave for years without a problem. 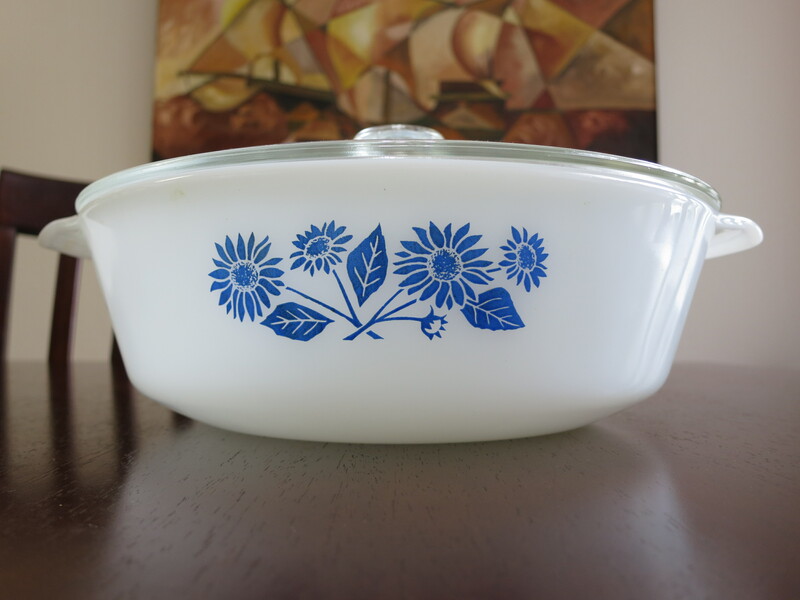 However, since Fire-King glass was developed well before microwave ovens were available for domestic use, none of the earlier pieces are marked “Microwave Safe.” Some Anchor-Hocking patterns not marketed as Fire-King are indeed made of the same “heat proof” borosilicate low expansion glass. One example is blue Bubble. We “nuke” our leftovers in blue Bubble flat soup bowls. Other non-Fire-King Anchor-Hocking patterns, such as Charm, ARE NOT heat proof. Be sure to avoid using gold-trimmed pieces in a microwave as well. WE DO NOT recommend that you wash Fire-King dishes in a dishwasher. They’ll come clean all right, but over time, the original lustre will be replaced with a “dishwasher haze” — an actual removal of a thin layer of glass that removes its value as well. In your shopping for old Fire-King, you’ll run across pieces that look like they’ve been sandblasted. Those were washed in a dishwasher. NEVER wash Peach Lustre or hand painted Gay Fad pieces in a dishwasher. 5. I recently aquired some Jadite cups and saucers. They are in excellent condition except for a white film here and there on the cups. What is this and is there a way to clean them so it will come off? White discloration can be two kinds of things: a deposit on the glass or actual removal of material from it. Layers are added by such things as hard water minerals that can be removed with a solvent such as Lime Away or a mild abrasive, such as Soft Scrub or even with fine Brillo pads. Layers of glass are removed by dishwashers and/or by prolonged exposure to acidic water. The latter is common with vases that hold water for a long time without being cleaned. Either condition is referred to as “sick glass.” I know of no way to correct it. 6. Is the jadeite saucer with Jane Ray Pattern on back Fire-King or an imposter? The rayed bottomed saucers are an interesting Jane Ray variation. They’re a little thicker. Some also have the anchor logo in the very center. Others are actually marked “Fire-King”. MOST are not marked at all. 7. Does the glass or the peach lustre finish contains lead? I’d like to find out before I let my small children eat from them. All Anchor-Hocking products are lead free. That includes Fire-King. 8. What is the difference between a Breakfast Bowl and a Chili Bowl? Shown at the left (from Left to Right) are the highly prized Breakfast bowl and, to its right, the commonly found “Chili” bowl. Chili bowls are found in every Hocking color. Breakfast bowls are sometimes found decorated with red or green ivy trim. Market price for a decorated breakfast bowl is roughly twice that of a non-decorated one — and up to ten times the price of a chili bowl! 9. There are so many different mugs. Which is which? ABOVE (L to R): Chocolate, Small Restaurant, Extra Heavy. The popular Extra-Heavy or Restaurant Ware mug also stands 3 1/2″ (88mm) high and has a diameter of of 3 5/16″ (84mm), but due to its extra-thick walls has a capacity of only 7 1/2 ounces. 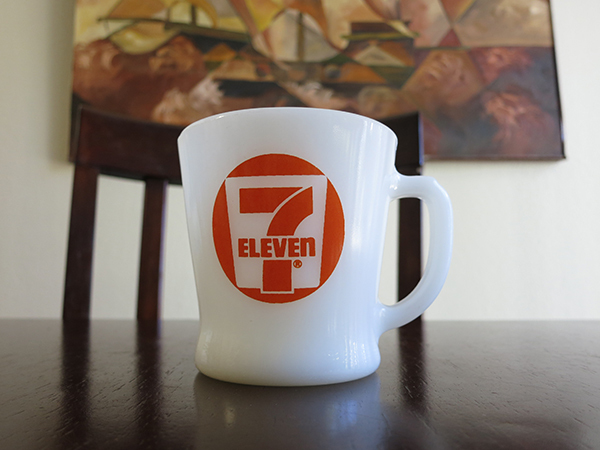 It is priced at about twice the level of the standard mug. There is a mug that falls midway between the Extra-Heavy Restaurant Ware mug and the smallest, Slim Chocolate Mug: This is the Small Restaurant Mug, which stands 3 3/8″ (86mm) high, has a diameter of 3 3/16″ (81mm), and holds 7 ounces. 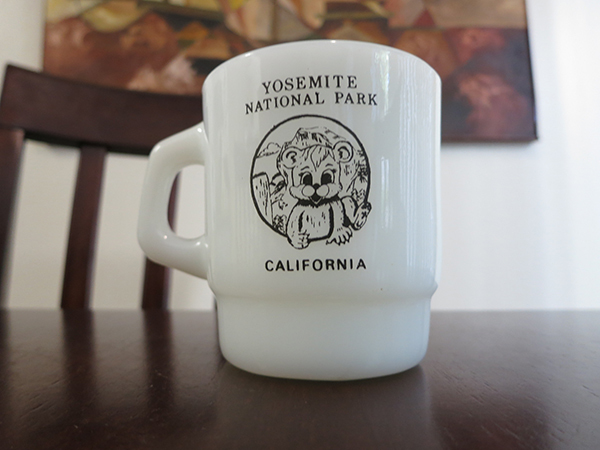 This mug is often mis-identified (and priced) as a Chocolate or Extra Heavy mug. The most elusive mug is the Slim Chocolate whch stands 3 3/8″ (86mm) high, has a diameter of 3 1/8″ (79mm), and holds 7 ounces. Chocolate mugs are priced at about three times the price of the Standard Mug. Standard (square-handled) 88 mm 84 mm 9.0 oz. Extra-Heavy Restaurant 88 mm 84 mm 7.5 oz. Small Restaurant 86 mm 81 mm 7.0 oz. Slim Chocolate 86 mm 79 mm 7.0 oz. 10. Are “jadite” and “Restaurant Ware” the same thing? No. “Jadite” is a generic term for jade green opaque glass and is used to describe similar lines from a number of different companies, including Anchor-Hocking’s Fire-King. More specifically, Hocking called their opaque green glass “Jade-ite”. 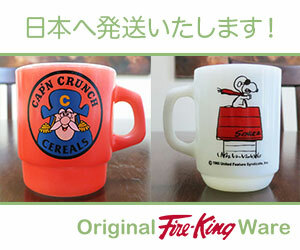 Restaurant Ware is a particular line of Fire-King that includes only the items shown in this ad (Photo), which were produced in white as well as in jade-ite. 11. What other companies made Jadite? Jade green milk glass, or “jadite” has been made since the beginning of the twentieth century, but the word itself was coined by the Jeannette Glass Company in the 1930’s. McKee Glass, a contemporary of Jeannette, called their opaque green “Skokie Green.” The Fenton, and New Martinsville companies made a similar color they called Jade Green. Akro Agate’s version was Apple Green. A full decade later, Anchor-Hocking’s heat proof jade green was named “Jade-ite”. To simplify things, today’s collectors and dealers use the collective generic term Jadite. 12. Why is some jade-ite light while some is dark? The darkness of a jade-ite item is a result of the amount of impurities it contains. Most of this is “scrap cullet”, or junk glass scraps that were simply disposed of into a vat of jade-ite glass “slag”. The cullet included not only scraps from work areas, but beverage bottles from the plant floor as well. Glass factories were hot. 13. I have a pie plate with the Fire-King logo written backwards. Is this unusual or rare? Unusual? A little. Rare? Definitely not. Some logos were intended to be read looking down, through the glass. When such a mold was used with an opaque slag, such as white, ivory or jade-ite, the backwards logo made less sense. 14. I have a 2 qt Fire King casserole dish with a silver signature on the lid marked Georges Briard. Who is that person? According to “A Collector’s Guide to Anchor-Hocking’s Fire-King Glassware, volume 2,” Georges Briard is a fictitious name chosen by artist and glassware designer Jascha Broido and his friend Max Wille. Jascha Broido was born in the Ukraine and emigrated to the United States. After being discharged from the Army in 1947, he went to work for Max Wille selling decorative items and eventually started Georges Briard Design. 15. I need info on odd pieces with a large F inside a shield. Is it Fire-King? The “F-in-a-shield” is the mark of the Federal Glass Company. 16. I also have mugs that have a small A inside a larger H. That has to be Anchor- Hocking, right? The “H -over- A” is the mark of the Hazel-Atlas glass company. Anchor-Hocking marked almost all of its Fire-King wares but virtually none of its other Depression-Era lines. 17. I found a 1 1/2 QT white bowl. On the bottom is an “F” inside a shield. I know that this is the mark of the Federal Glass Company, but does that mean it isn’t worth anything? Did the Federal Glass Company make Fire King or is this a totally different brand of glass? And how do I know how old it is and what it is worth? Federal and Anchor-Hocking are separate companies. Both began making heat resistant ovenware in the 1940’s. One is just as good as the other. There were others as well, such as Fry, the inventor of low-expansion heat resistant borosilicate glass (Fry Oven Glass); MacBeth-Evans (Corning Ware and Pyrex) and McKee (Glasbake). Anchor-Hocking calls its “heat-proof” glass Fire-King. Fire-King is a brand name. All are equally good. Not all are equally valuable. In the antiques & collectibles world, “Value” is determined not by quality, beauty or scarcity but by DEMAND. Thanks largely to Martha Stewart, the demand for Fire-King is huge, while equally useful glass from other companies just sits on store shelves. The Fire-King collecting culture is also carried along by an abundance of Fire-King research material and documents, while many of the catalogs from other companies are lost forever. Your Federal bowl is a good thing to have. Use it. But, if you’re looking for an investment, start collecting Fire-King. 18. Some of my square Jadite kitchen shakers are tall and some are short. I thought Fire-king shakers were all the same. Aren’t they? Fire-King shakers are indeed all shaped the same, but none of them are square. What you have are either Jeannette or McKee range shakers. At first glance they may appear to be identical, but the McKee shakers are slightly taller and have wider necks. 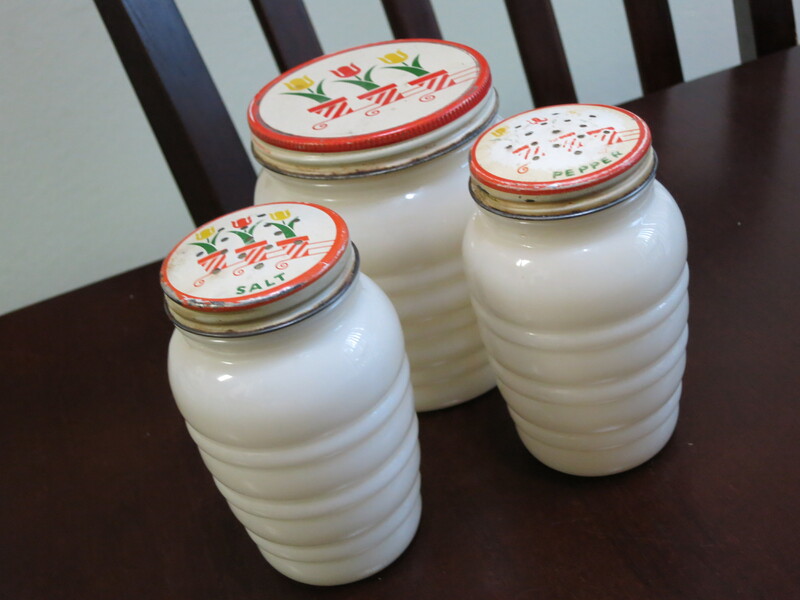 Incidently, McKee and Jeannette shakers are from the 1930’s. They come in a variety of colors and lettering styles. All are highly collectible. 19. Are there Fire-King or jade-ite reproductions out there? Yes. But they can be spotted once you’re aware of them. Please take a look at our pages of Jadite Reproductions to learn about some of the repros you are likely to encounter. More recently, a new problem has emerged for Fire-King collectors with the introduction of jade-ite2000 (aka: Fire-King2000), which was first mentioned on our Fire-King News page. Initial reports indicated that the new restaurant ware would be marked with only a paper label that could easily be removed. Production of Fire-King 2000 dinnerware ( fake restaurant ware) has been cancelled indefinitely. It is not available for sale anywhere. A few pieces of Brazilian-made jade-ite Fire-King2000 ovenware are available in specialty stores. Yes, they are jade-ite, and yes they are made, in Brazil, by a company that owns the Fire-King name. But most of what drives collectors toward vintage Fire-King made by the Anchor-Hocking company from the 1940’s through the seventies is nostalgia. Is a 1957 Chevy the same as a new Chevy? They both say Chevrolet on the back. But which one appeals to collectors? It is the demand for the older things that remind us of our youth that determines their worth or value. 21. Most of the pieces that I have collected so far have numbers on the back next to the Fire King mark. What do the numbers mean? Those are batch or lot numbers. If a manufacturing defect showed up in any piece, it could be traced back to the place and time it was produced and other pieces so marked could be recalled. Unfortunately, they are not indicative of an item’s place or date of manufacture. 22. I just bought a Fire-King casserole dish on a chrome stand and a utility baking dish. The box is original and says Royal Chrome Sheffield Design Gourmet Ware. The bottom of the dishes are stamped Fire-King. Can you tell me how old these might be? What you have is called an After Market piece. Many Fire-King pieces were sold to other companies who then added their own metal stands, racks, holders, etc. to create “new” products, such as candle warmers / chafing dishes, cooling racks, fondue sets, ice buckets and plant stands. To get an idea of the approximate age of your piece, please see the table at the top of this page. After Market modifications generally add little to the value of a Fire-King piece.